Despite the horrifying death traps across the mysterious island, J.J. is able to revive from death endlessly. Many traps and gimmicks can be overcome only by bringing harm to your body, such as being struck by an iron ball, or by dismemberment. Be wary of your surroundings and look for ways, conventional and unconventional, to get through the island. You may need to use your limbs as weight, or even break yourself in two to get through smaller spaces. Sometimes you can find tips by sacrificing your own body through dismemberment, being crushed, jumping into fires, and more. But don’t worry as you can revive yourself as many times as needed to find your way through the island. However, this island was like a nightmare: no matter how many times she sustains fatal injury, she couldn’t die, and instead is able to revive herself back to normal. J.J. ventures into the depth of the island as she drags her decapitated body along, enduring the pain. Her limbs may sever, her neck may break, she may go through severe burns, but… In order to save her best friend, she puts her own body and life on the line, reviving infinitely, as she presses forward. Why did she go missing? What is going on in this world? All of these mysteries shall be revealed when the game is cleared. 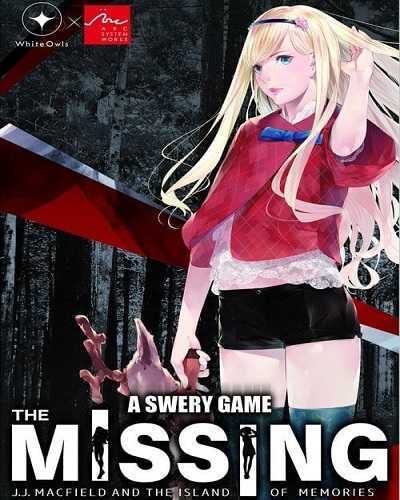 0 Comments ON " The MISSING JJ Macfield and the Island of Memories "